This afternoon, Mike and Linda continue to make clarifications on what the Bible says about divorce. It has been pointed out that the divorce rate within the Christian church is the same as the rest of the world, which intuitively seems wrong. 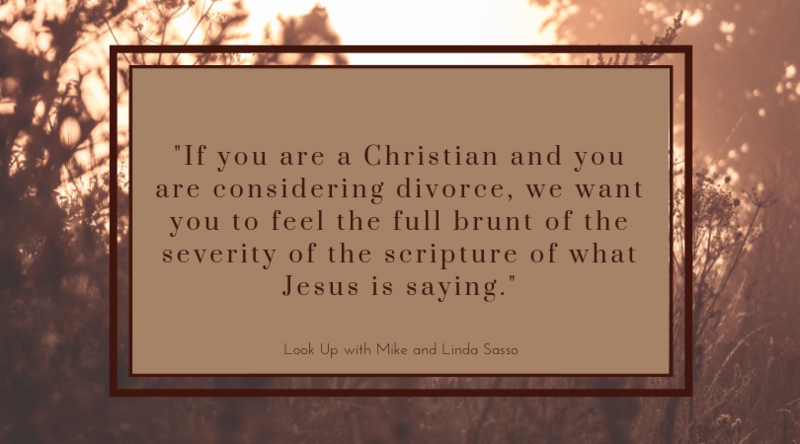 Mike and Linda make sure with today’s show that listeners understand how serious divorce and remarriage are for Christians. These are not topics that should be taken lightly. Divorce is a very last-case option for Christians and should only happen under certain circumstances. However, they do not want to beat down those who have already gone through divorce; there is abounding grace for those who have already been through this heartbreaking process.